The British Council and Poland in the 1940s – Cultural Propaganda. Dissertation von Klaudiusz Bobowski, Verlag Dr. Kovač 2019, 198 S.
“Dr. 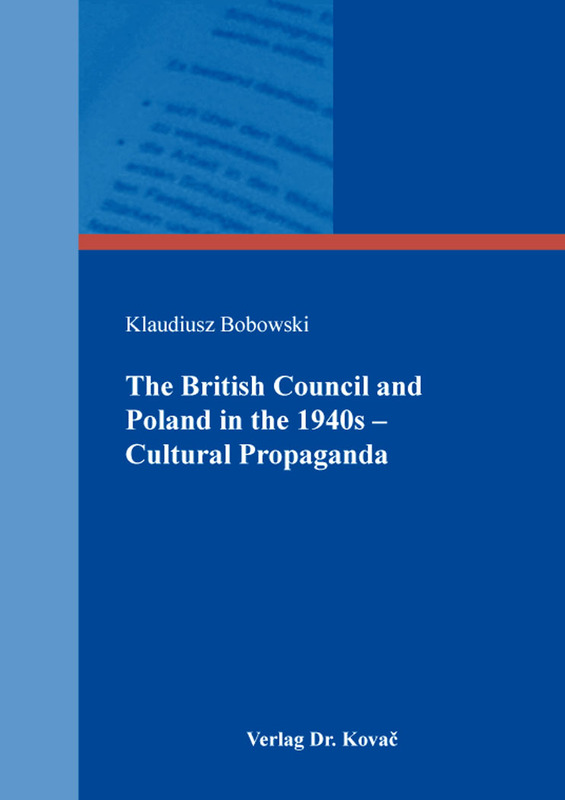 Klaudiusz Bobowski’s book on the British propaganda booklets of the 1940s concerns an important part of the historical and sociological background of World War II. The British Council booklets were meant to be read by Polish military personnel in the British armed forces as an introduction of sorts to the culture and the civilization of Britain. At the same time the booklets were in many ways subject to biases and as such furnish Bobowski with many examples of what the British political and cultural discourse was at the time. The most striking of those examples is perhaps the complete absence of the one figure who, it would seem, could most perfectly connect the British and the Polish cultural horizon, namely Joseph Conrad. One evident strength of the book is drawing the readers’ attention to the existence of this form of mild propaganda and its analysis. Despite some omissions and other drawbacks, the British Council pamphlets are a testimony to the high level of both the British information services and to the intellectual level of the Polish soldiers. One may only ask what this sort of propaganda would look like now. There are, nonetheless, some minor corrections to be made. The style overall is a bit on the wordy side and at times is too chatty and colloquial. There are lots of minor errors (especially in the use of prepositions) which ought to be corrected before printing. Additionally, there are perhaps too many summaries of the pamphlets’ contents but since those materials are not commonly available, the publisher might consider keeping the summaries nonetheless. I would definitely remove all information drawn from Wikipedia (for instance on the playwright Henrik Ibsen), as Wikipedia is not a reliable scholarly source. It should be replaced with an appropriate academic reference. Last but not least I consider it useless to pretend that there’s literary value to the pamphlets: it is evident from the analysis that the informational brochures were not produced as creative endeavors but rather as, precisely, information, even if that information may have been prejudiced at times.